A Japanese military fighter jet which disappeared during a flight exercise has crashed and the pilot remains missing, the nation’s Defence Minister has confirmed. 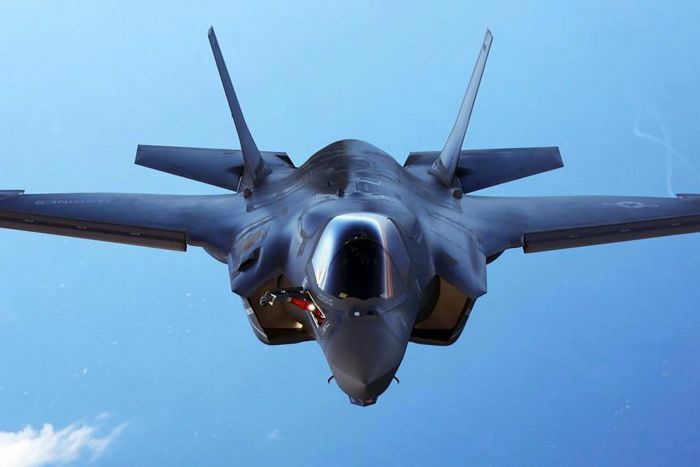 The F-35A stealth jet disappeared on Tuesday (local time) while conducting anti-fighter battle training with three other F-35As off the eastern coast of Aomori. Debris was found in the Pacific Ocean on Wednesday near where the aircraft disappeared from radar about 30 minutes after taking off from the Misawa air base in northern Japan. The pilot, a man in his 40s, is still missing. Defence Minister Takeshi Iwaya said the cause of the plane’s disappearance was not immediately known, and 12 other F-35s at the Misawa base would be grounded. The crash is only the second time an F-35 has gone down since the plane began flying almost two decades ago. It is the first crash of an A version of the fifth-generation fighter designed to penetrate enemy defences by evading radar detection. A US military F-35B crashed near the Marine Corps Air Station Beaufort in South Carolina in September, prompting a temporary grounding of the aircraft. Japan has just started deploying the expensive US-made F-35s since last year as part of its plan to counter potential threats from North Korea and China. The Government announced in December it planned to increase its procurement of F-35s from 42 to 147, including 105 F-35As. Each plane, which is manufactured by American defence company Lockheed Martin, comes with a price tag of about 10 billion yen ($126 million) each. Lockheed Martin said in a statement it was standing by to support the Japanese Air Self Defence Force as needed. Last year Australia’s first two F-35A fighter jets arrived in the country. A total of 72 of the aircraft have been ordered and will continue to be delivered to Australia over the coming years. Then-defence minister Christopher Pyne said each plane cost $124 million and represented good value for money. “This is the largest acquisition of the Air Force’s history, $17 billion, and arguably the most lethal acquisition in the Air Force’s history, certainly of its time,” Mr Pyne said.